Service is based on four service visits per month….48 services over the course of a year. 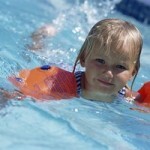 As there are 52 weeks in the year, I service your pool the additional 4 weeks AT NO ADDITIONAL CHARGE. However on scheduled service days when it is raining or there are strong winds, full service may not be done. In my 18+ years I have NEVER not serviced all of my pools at least 48 times per year. Brushing the plaster and tile. Emptying the skimmer and pump baskets. Checking the chemicals and adjusting as needed to properly balance chlorine, Ph and alkalinity. Ensuring that the pool pump/motor and filter are operating properly. No two pools are the same. I do not quote prices without seeing the pool. I want to come to your home and see it to provide you a complimentary written estimate. All estimates are free and no obligation. Pricing is dependent on factors such as surrounding trees, landscaping, equipment, pool usage, age of pool, quality of plaster and to a lesser degree, the size of the pool. I provide monthly service and bill you at the end of every month for the service already provided. You get your service before you have to pay for it. I do not require written contracts: all my client agreements are made on a handshake.